Let Us Help Solve Your Next Move! For any of your heavy haul trucking needs, whether that be freight trucking or equipment relocation, The Izzi Group is here for you. Whether you need heavy machinery movers to move your oversized load across town, or across the country, we can help. If you have a difficult project that you think could be assisted by a rigging company, be sure to contact us right away here at The Izzi Group to ask about our services and request an Estimate. 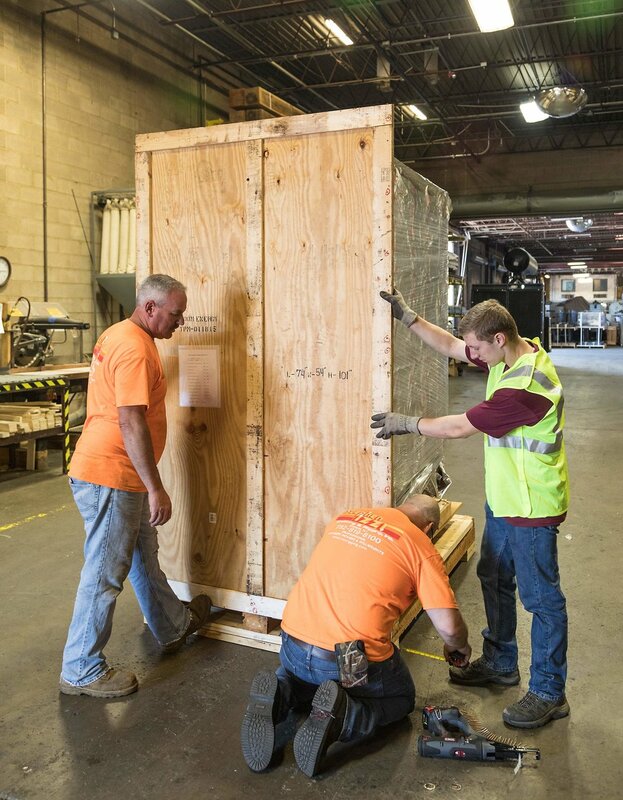 Our crating team takes the extra time and attention to detail that insures your specialized equipment arrives to your customer safely, intact and according to specifications. Contact us for an Estimate. We are your quality resource specializing in Industrial Facilities, Data Centers, Clean Rooms and High Value Equipment relocation. Please fill out the relocation questionnaire and a specialist will contact you. At The Izzi Group we can handle any Break Bulk, RORO, OOG, or Trans Load to anywhere in the world, no matter how large or small your cargo might be. Contact us for an estimate and more information on all the other services we can provide on your next job. Veteran Owned Trucking & Rigging Experts for over 40 years.